Check out my Deviant gallery (my signature) if you want higher resolutions. So is this where i write something? 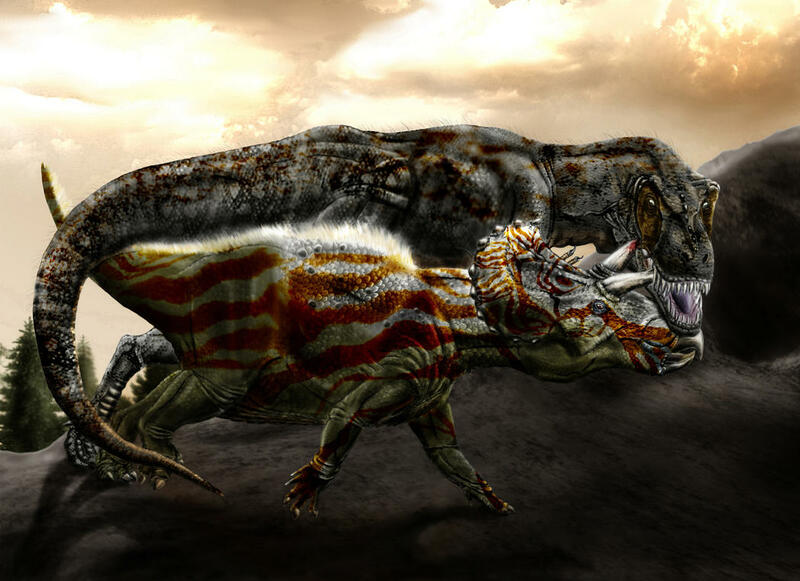 They are very nice the giganotosaurus looks a bit sluggish. 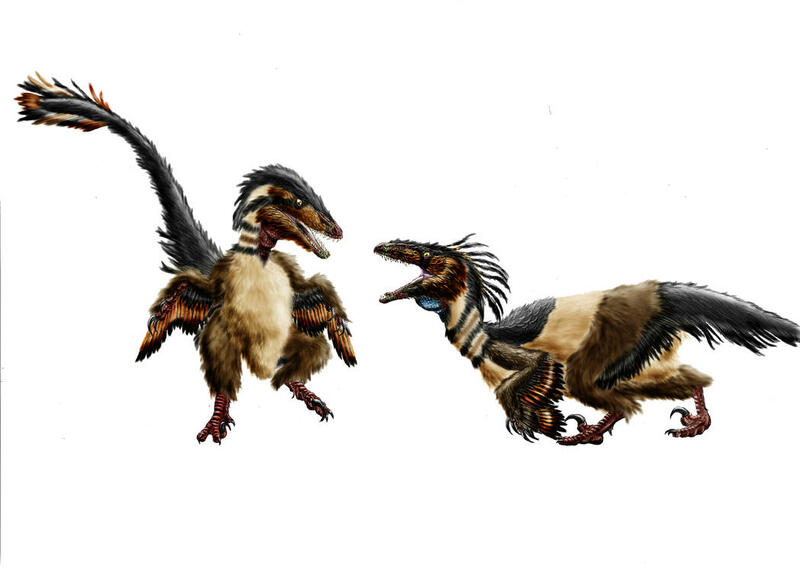 I like the ultra feathery Troodon! Thanks. The "chubby" giga its actually a bit conservative if we consider a realistic mass estimation of a full grown specimen : http://en.wikipedia.org/wiki/File:Giganotosaurus_scale.png. 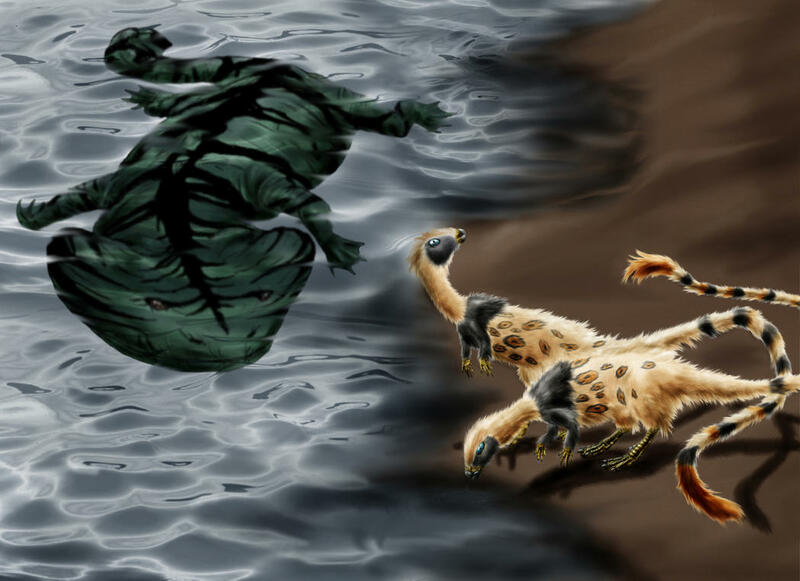 Just say no to skin-wrapped theropods. Well, that´s really flattering! Glad you like it. 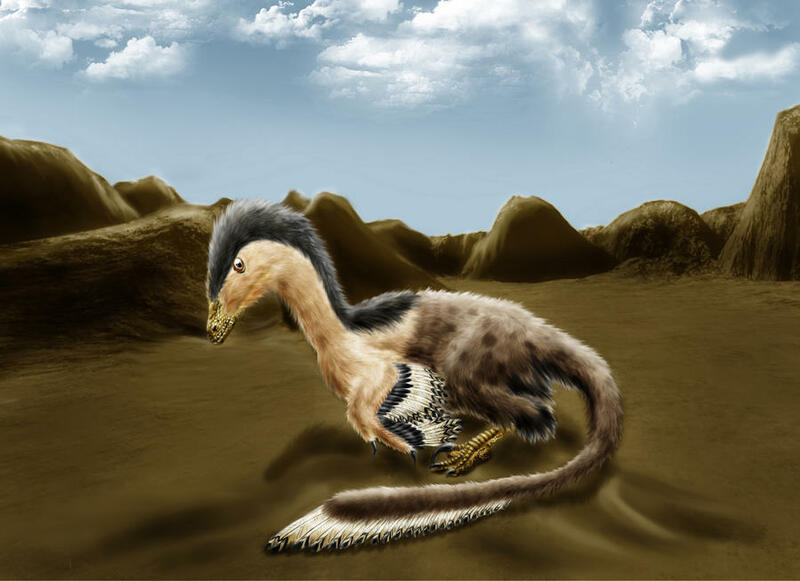 Here´s another WIP work, the recently discovered asian pterosaur Guidraco Venator. Just noticed that the pterosaur anatomy -and perspective, which I planned to fix later- is quite off, it needs a massive revamp. 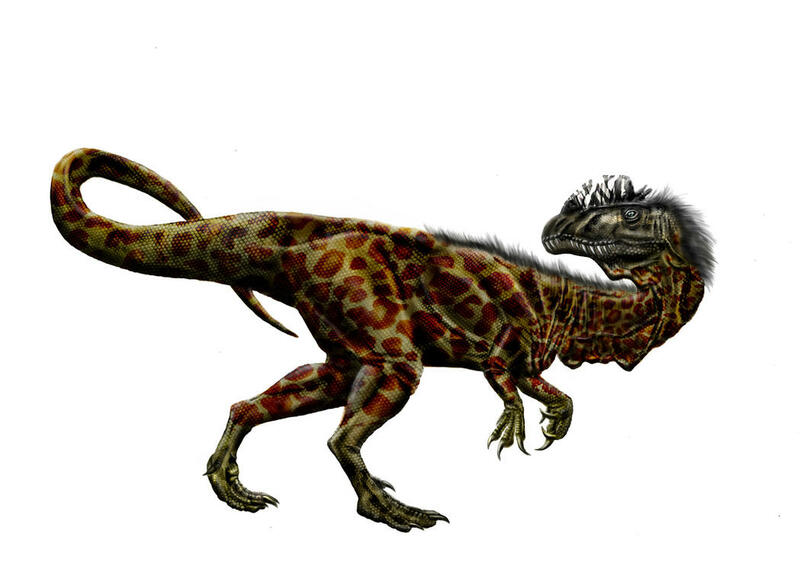 Here´s the Giganotosaurus finished, I scaled it with a 6 ft. tall human. 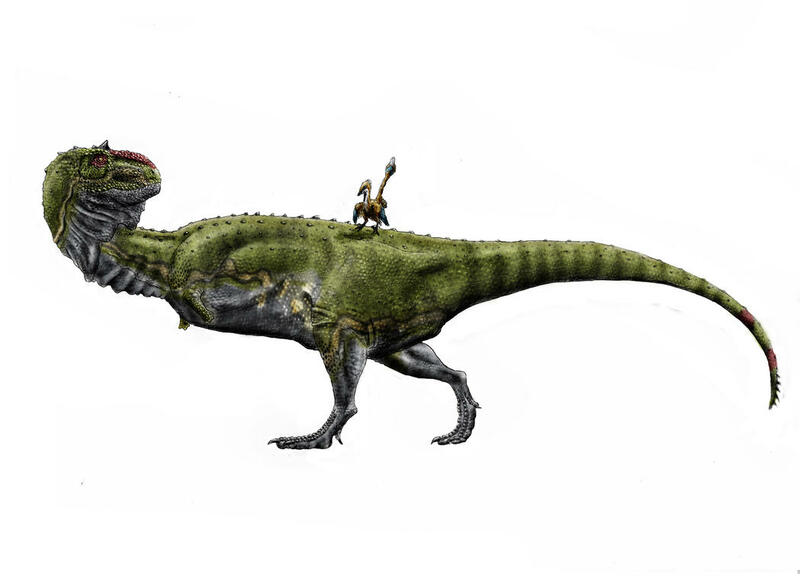 Note that this is the maximum estimated size (13 m. body lenght, 1,95 m. head lenght-maybe a bit oversized though), not your "average" giga. That's a giga Giga! 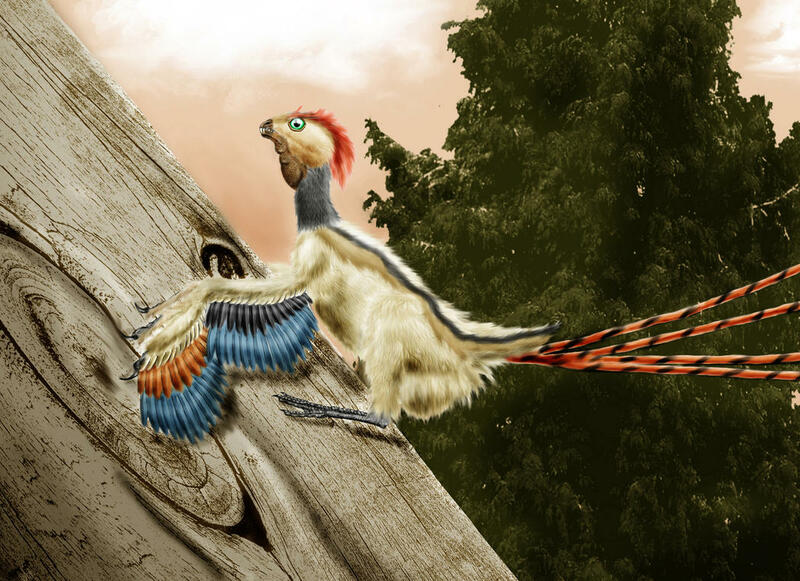 I really like the pterosaur! Fun to see some of our stuff collected here Arioch. 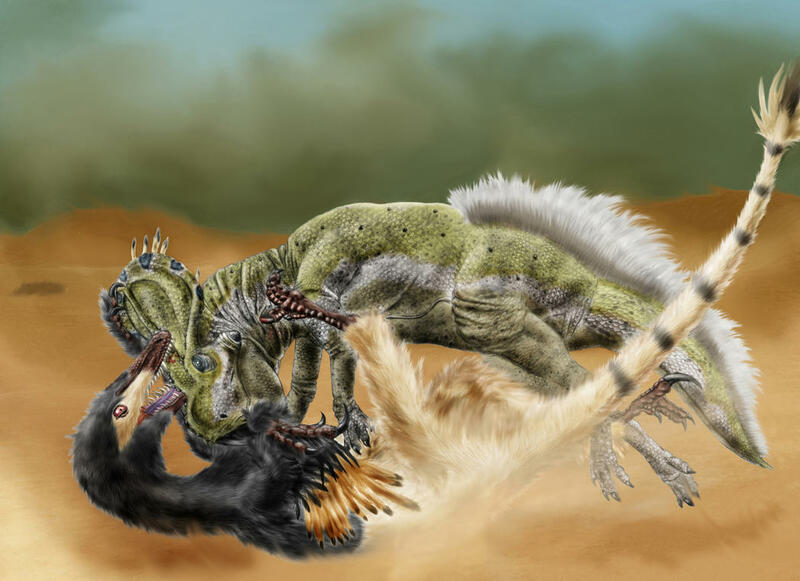 I agree with Zopteryx, I really like the new Gigantosaur and pterosaur! I like the panda colors! 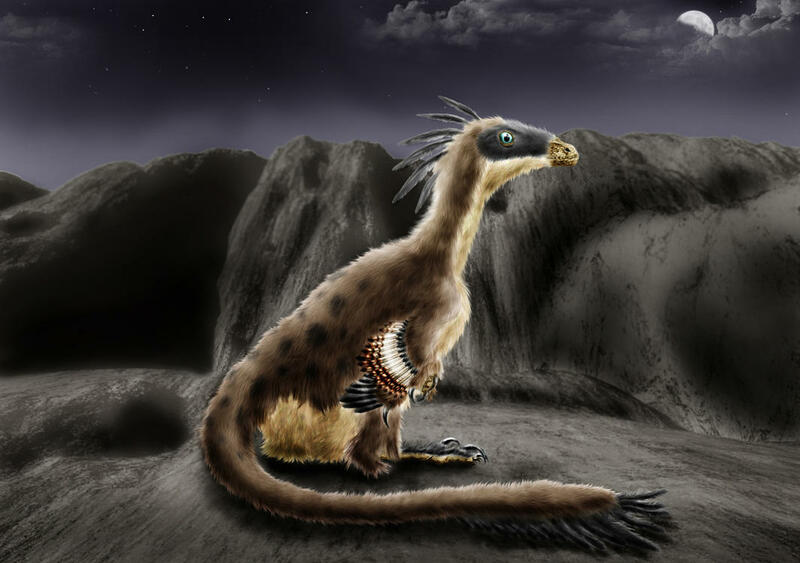 Dacht jij dat de dinosauriërs uitgestorven waren? 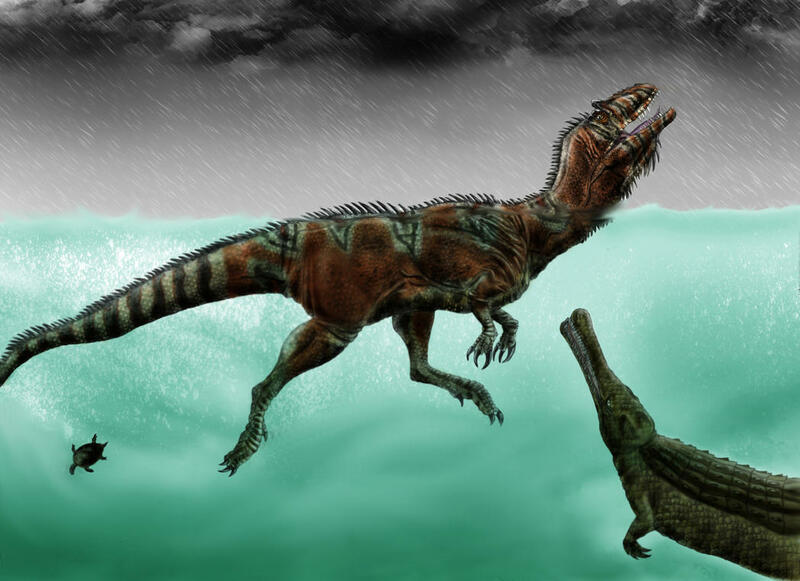 I really like your Giganotosaurus. Any chance of a 2nd version with a straight tail? As you're working digitally you don't have to worry about fitting it on the paper, right? Not entirelly digital though. Since I´m not confident/skilled enough with the tablet pencil to make the lineart with it, the early sketch is still traditional made. Right now I´m in the middle of another collab with the deviant pilsator, and I think its looking better. That's awesome, but I'm wondering if you could adjust the neck a bit. It seems to go a bit noodle-necked in the middle. Otherwise, very good job. You actually should tell him! Its his creation after all, I can´t modify it. But seriously, I sort of agree (besides, you know I like theropods with beefy necks), so I´ll ask him. I think we're right though! 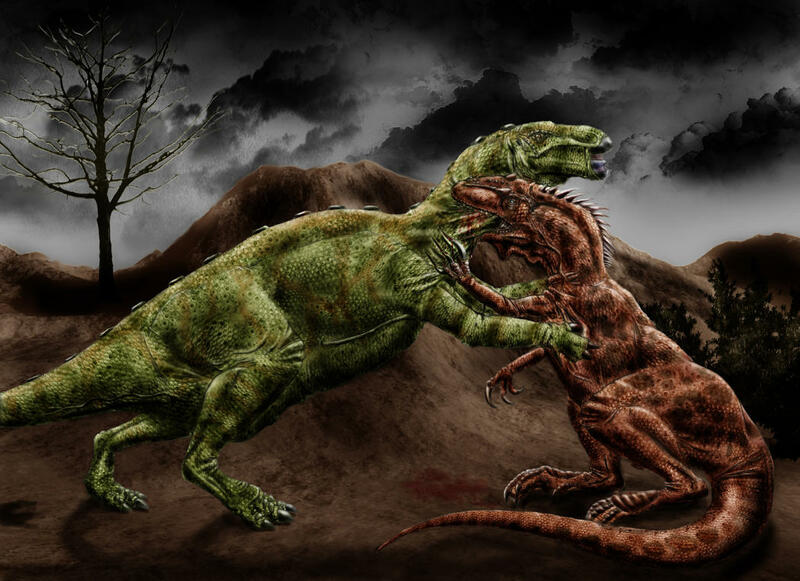 Wonderful Carnotaurus illustration and coloring, you're a great team. It went right onto my desktop background (a second for something you helped create Arioch!) replacing a rather stunning collared lizard. 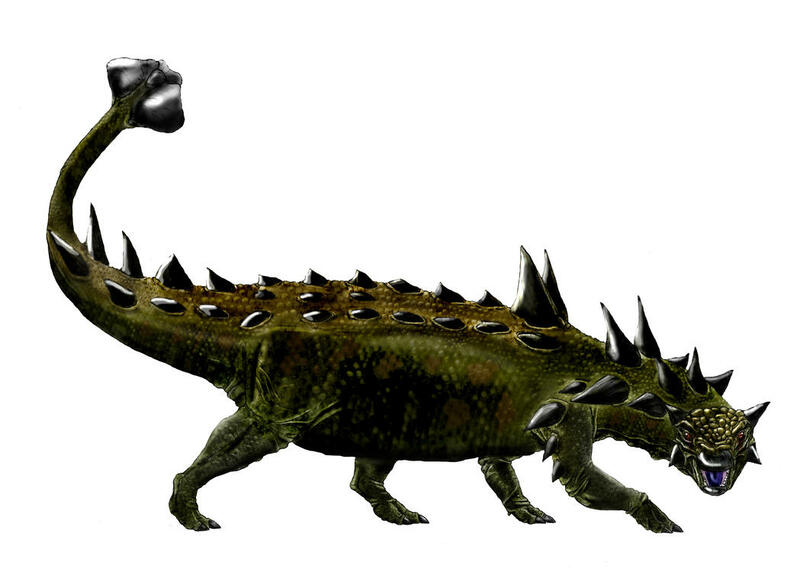 The tail spines are a nice touch. Interesting how I just get overwhelmed by the artistry and miss the details, like the neck girth that Marc noticed. 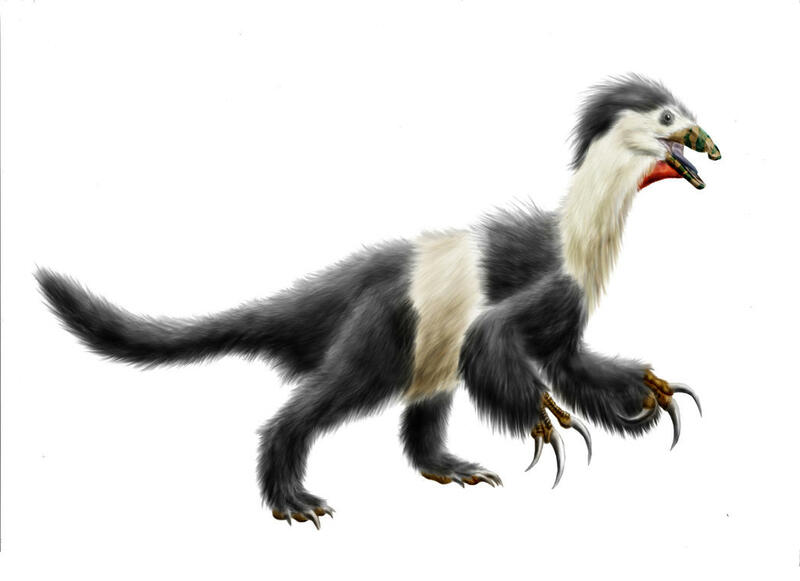 Now that I look at it again, it does look a little thin, although I also can see it as appropriate if you imagine this fine creature were in the process of lunging toward some prey, stretching out it's neck a bit. Thank you so much, totoro. I don´t know if Tomo drawed the neck like that for some particular reason like the one you mention, but he´s usually quite knowledgeable and nitpicky about dinosaurian anatomy, as you will see if you check his gallery. But well, nobody´s perfect. 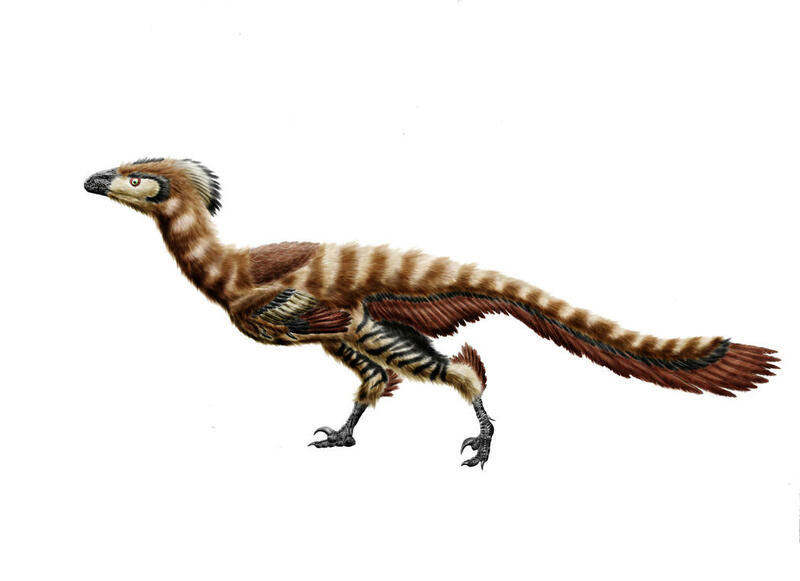 Velociraptor mongoliensis study. I´ll probably use the one at the left in a size chart project. Hooray for tail streamers, eh? 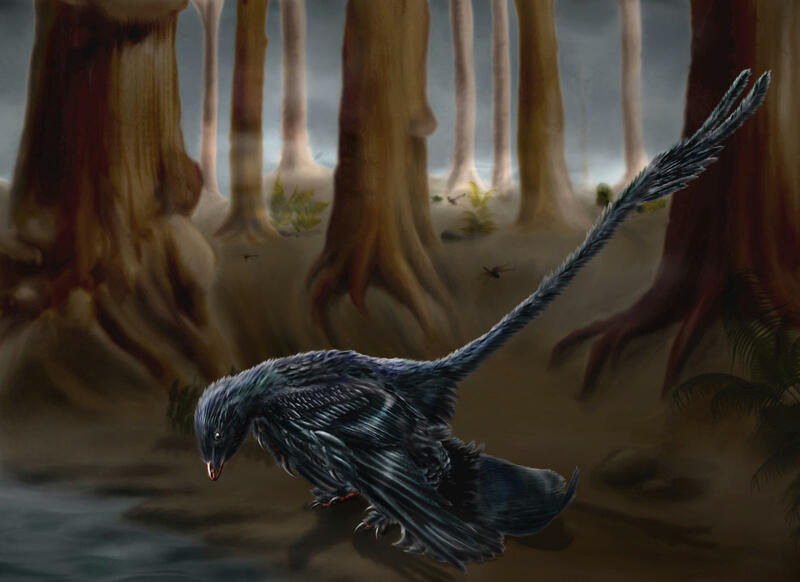 Am I allowed to claim credit for using them even before the new Microraptor findings?